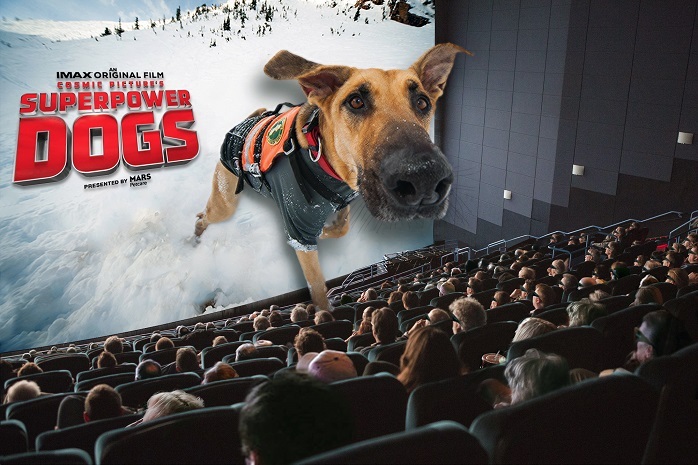 Join an immersive giant screen adventure to experience the life-saving superpowers and extraordinary bravery of some of the world’s most amazing dogs. Officially opens on April 26 in honor of National Kids & Pet Day! Narrated by Chris Evans. In this inspiring true story, our best friends are also real-life superheroes. Journey around the globe to meet remarkable dogs who save lives and discover the powerful bond they share with their human partners. Send us an email webmaster@hmns.org if you want to see behind-the-scenes footage and want more information about the special lectures and events surrounding the opening of this film next year. Visit https://superpowerdogs.com/ for more information.